These days I have been running crazy with my school work and I never had a chance to open my blog. I am very happy that I finally sat down to write a post. Todays recipe is a vegetable pot pie, I made this for my family friends. They always shower me with a ton of compliments, I love to cook for them and spend time with them. 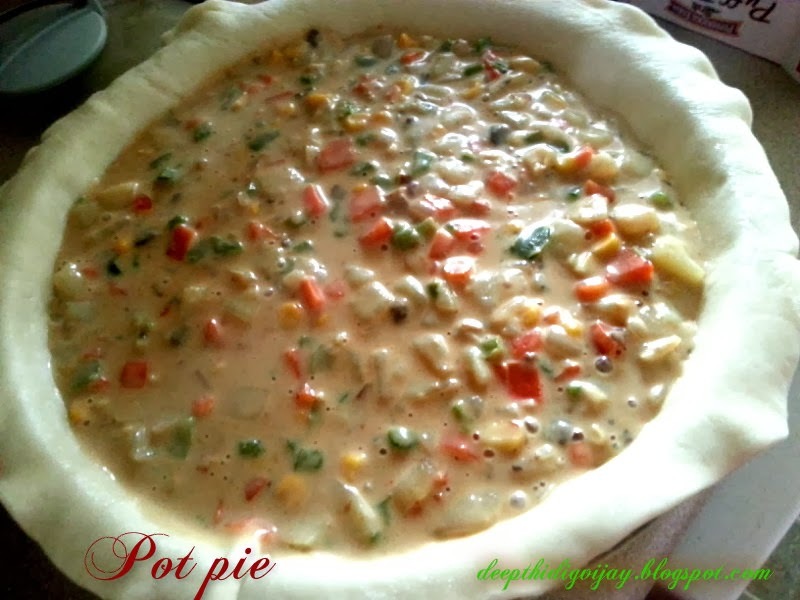 This pot pie is really easy to make and tastes wonderful, you can use your choice of vegetables. as they burn quickly. When the vegetables are done add can of cream of mushroom and stir properly. Finally add black pepper and salt to taste and mix well. Turn off the flame and pore it on to the unrolled Pillsbury pie crust in a pot pie baking dish. Now cover the filling with the pot pie crust and make a hole at the center for the vapor to escape. Bake for 15min or until it turn golden brown at 415 degree F. You can also coat the pie with egg wash if you want your pot pie to look fancy. Egg wash makes it to appear golden brown. You can add pieces of cooked chicken if you like. You can also cook your vegetables in a vegetable or chicken broth for more flavor. I love adding broccoli in my pot pie, but my hubby is not a fan of broccoli so I had to skip it. If you are a broccoli fan feel free to add it to your filling. Lovely recipe... looks too good!! 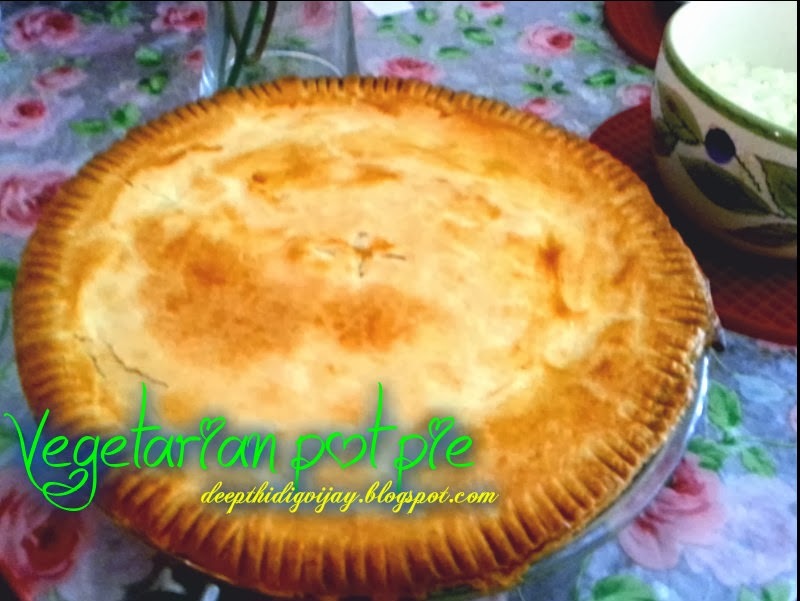 Vegetable pot pie is looking delicious. I think you're an excellent cook, Deepti. I wish you make more of such food for yourself and for others and bring happiness in everybody's life.